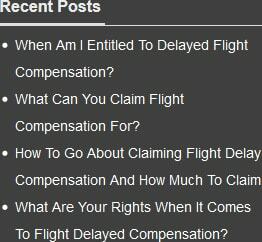 Compensation when flight delayed? You could be eligible! Don’t lose out on the chance of securing what is rightfully yours. If you have spent money on a flight to anywhere within the EU or beyond, and your flight has been delayed in arriving at its ultimate destination for three hours or more, then it's probable that you've experienced a significant disruption. In these situations, you are entitled to ask for a sum of money that repays you for the time that was squandered and the frustration you've experienced. However, many people don't think of making a claim. They may not know that they're entitled to do so, or could be concerned at becoming involved in a lengthy legal case that may take up further valuable money and time. 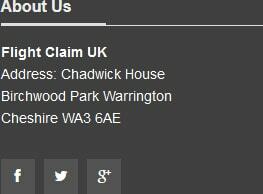 You do not have to be worried if you come to Flight Claim UK. We will be able to help you claim affordably and efficiently. Are you entitled to make a flight compensation claim? If you have experienced a lengthy delay, no matter whether travelling on vacation or on business, it really is worth considering whether the following criteria apply to you because you could receive up to EUR600 for flight delay compensation. You're usually entitled to file for compensation for a flight delayed in the event you have taken a flight with an airline based in the EU, or a non-EU airline from an airport based in the European Union. That flight must have been delayed for more than three hours from its intended departure time. Also, your claim must be set in motion within six years of the day of the flight. You cannot claim any money if the delay occurred because of extraordinary circumstances. Generally speaking, these are scenarios like severe weather conditions, a security threat, industrial action, political unrest and so on. What constitutes an extraordinary situation can be difficult to evaluate, and it's here you will likely find it beneficial to take specialist guidance. 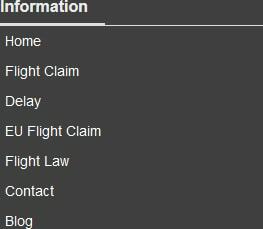 Flight Claim UK is an experienced legal firm with a great history of making claims for compensation on behalf of travellers who've been let down by the actions of airline companies, whether that's been because their flights have been delayed, cancelled or even overbooked. Hand your case to us and we can quickly tell you whether you've a right to claim. What's more, we offer a no win, no fee flight delay compensation service - to make sure that if you should lose your case, you do not have the additional disappointment of paying a bill for our legal services. There's no upfront charge for getting the claim started either. All in all, you've got nothing to lose when you bring your claim to us. We'll also ensure that your case is progressed as rapidly as possible. Although it may take several months, you'll be able to leave it with us, secure in the knowledge your case is in safe hands. Don't be discouraged from finding out how to claim delayed flight compensation by the negative description of a growing 'compensation culture' in the press and media. The fact of the matter is that if you are legally entitled to make a claim for a delay you have experienced, that was not your fault, but was the mistake of the airline on which you chose to travel, then we believe you should file a claim. Firstly, you've been put to inconvenience through their actions or lack of actions and you deserve some recompense for that. Secondly, making a claim for delay compensation is your right. Thirdly, successful claims send out a powerful message to the airline companies that their service has been unacceptable. This is a positive thing as it encourages them to change the way they operate and hopefully reduce such delays in future. For a fast, easy to access service when making a case for delayed flight compensation UK, you do not need to look any further than Flight Claim UK. We specialise in supplying cost effective and timely solutions to all types of issues resulting from flight delays, flight cancellations and overbookings. All we have to have in order to get your claim started are copies of your booking confirmation, your flight tickets and your boarding passes. Then you're able to leave the rest in our safe hands. We'll argue your case with the airline's representatives with the aim of negotiating the maximum in compensation to which you are entitled. Don't forget, although you've got six years to make a claim, it's always best to begin as soon as possible before the details fade from your memory. Do not be left out of pocket because of someone else's carelessness or negligence - speak to us today about claiming compensation when flight delayed.